Exploring the beauty of Sapa in the Lao Cai province and know more about the local minority by visiting their home. Enjoying the whole view of Sapa when standing on the high mountains. 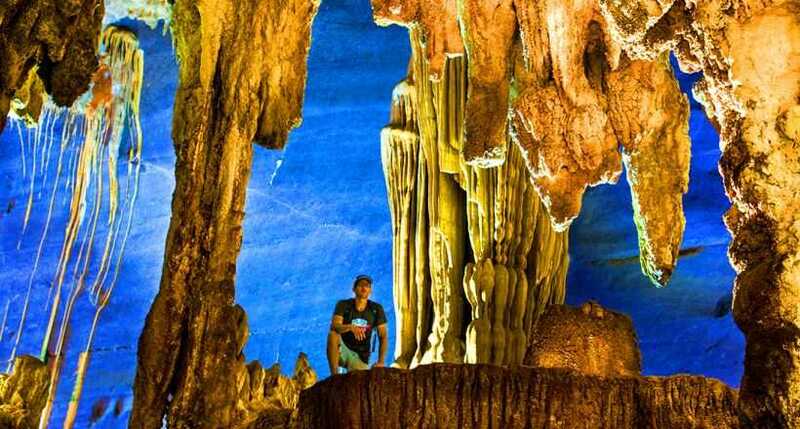 Delicious seafood meals and wonderful caves, grottoes are waiting visitor in Halong Bay. Taking part in many interesting activities like swimming and exploring caves. While the middle area of Vietnam is famous for sunny beaches and convenient resorts, the northern area boast its own beauty with many landscapes, historical relics, caves and grottoes. Sapa and Halong Bay is two names of those beautiful places which make Vietnam well-known and become an attractive tourist hub in Asia and in the world as well. Warmly welcome at Noi Bai International Airport by our guide and then be transferred to the center of the city for half day city tour. Visit The Temple of Literature - The First University of Vietnam. After that, You will have chance to take a walk and enjoy the fascinating of Hanoi Old Quarter with hundreds of specialty shops which sell many things like the name of the street there, such as Hang Gai Street, Hang Thiec Street, Hang Trong Street, etc. In the evening you will be transferred to the Hanoi railway station for an overnight trip to Lao Cai. You will reach Lao Cai train station in the early morning. Met up and welcome by Holidays Vietnam local guide then having breakfast in a restaurant before be transferred to Sapa. After freshen up, we begin our tour by visiting the home of the H'mong minority, Cat Cat village. Then, walk down the valley to meet and have a chat with the local people. 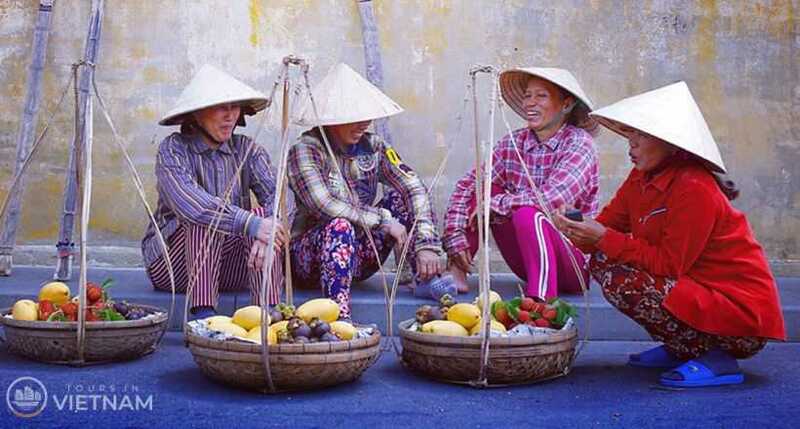 This is great chance for you to know more about the culture and daily life of the minorities of Vietnam. Lunch will be served with traditional local food. Free to relax and discover Sapa Town in the afternoon. Overnight in Sapa. After having breakfast, we will continue our tour by exploring the Sapa daily market. Here, you will be surprised with varying type of goods like traditional minorities clothes, bracers, crafts sold by local minorities. Then, we will reach the villages of Lao Chai and Ta Van to meet the H'mong and Dzay people. Have a chat with them and enjoy the fragrant of the hot tea. Stop for lunch on the way and then back to Sapa. Transfer to Lao Cai train station for night train back to Hanoi. Overnight on train. Arrive in Hanoi railway station in early morning. You will check in hotel for relax and have breakfast there. Around 8.00 AM: Shuttle bus will come to pick you up for Halong Bay trip. Arrive at the jetty at noon. Embark on boat and enjoy a welcome drink then having a sumptuous seafood lunch. Seeing many amazing karsts with various formations like: Mat Qui islet, But Moc islet, Cap De islet... Then head to Luon cave, enjoy swimming, sunbathing at TiTop beach or climb up to the mountain to see the whole view of Halong Bay. At night, enjoy the delicious seafood dinner. Afterward, fishing is a great option for you before spending your whole night on the junk. After breakfast, we will head to Sung Sot cave before swim and relax at Soi Sim beach. Sung Sot grotto is one of the widest and finest grottoes in Halong Bay and if you are lucky, you can see a group of monkey coming to get fruits. Moreover, the light system inside the cave offers visitor the sparkle and fanciful scenes. At noon, arrive at the harbor before rejoining car and back to Hanoi. Over night in Hanoi. Today is your free time for relax, shopping or sight-seeing before our driver come to pick you up for the airport to take your departure flight home. End of tour services.